Marrakech Quad Biking, an empty space for discovery and adventure the outskirts of Marrakech, with a backdrop of the beautiful landscapes of the High Atlas. Crossing in control of your quad this surprising stony desert, through the black mountains of “Jbiletes” and palm still savages. 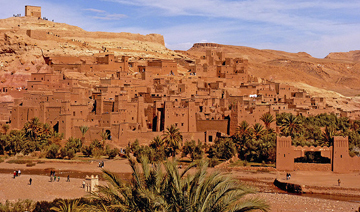 You will also visit authentic Berber villages where a warm welcome and hospitality of the people will surprise you. 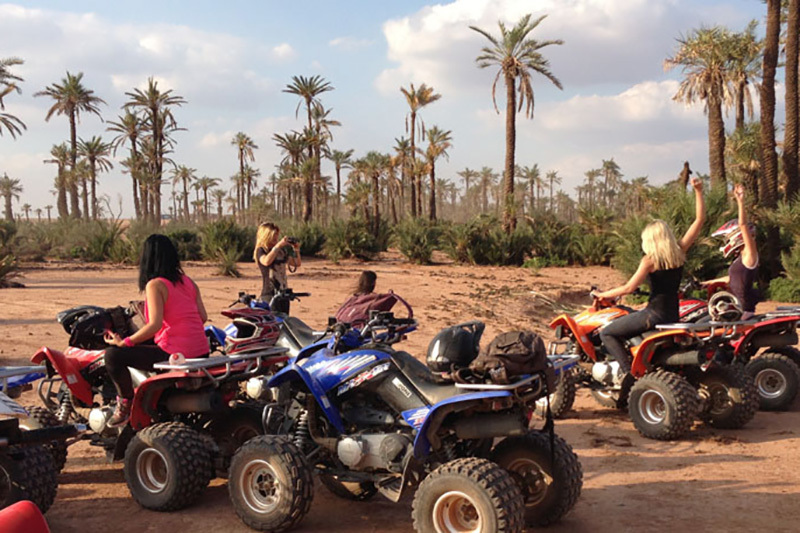 Furthermore, Marrakech Quad biking will make you discover another side of Marrakech. Typical villages, magnificent outdoors, original people and fun are planned ! 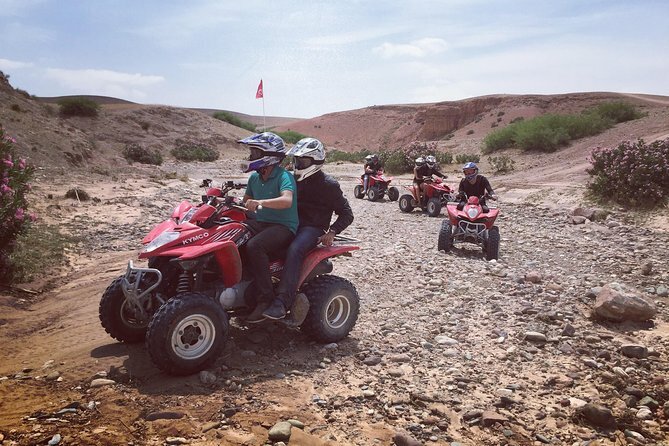 Our professionnal team will guide you in the most beautiful places reachable only by quad bikes ! It’s a balad you will remember. 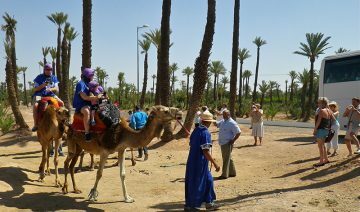 We organize departs each day from our base at 6 km of Marrakech, on half-day or full day basis. 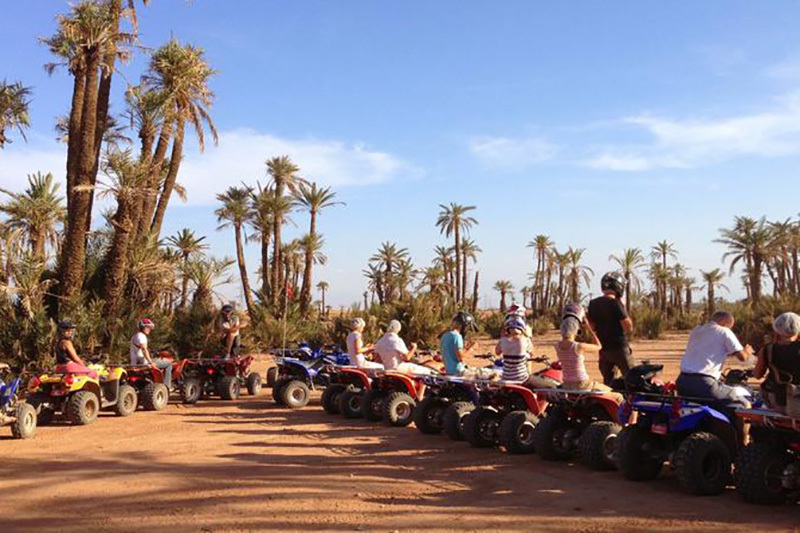 Quad trips in Essaouira, Lalla Takerkoust, Ouarzazate and Zagora are available. 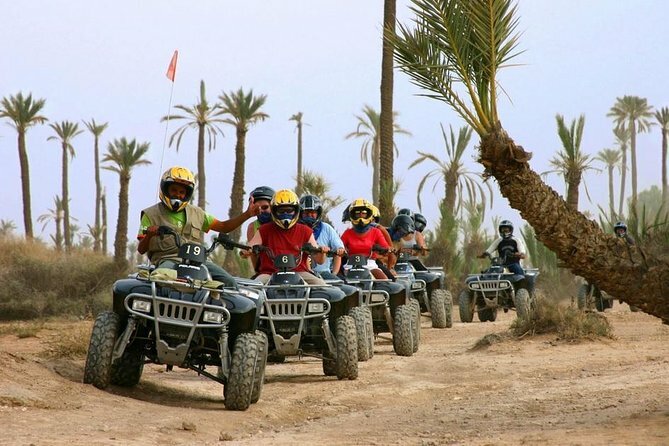 Zip through the Palmeraie on a 4-wheeler on this half-day Marrakech quad biking experience. Don a helmet and goggles, and zoom down dirt trails and around the palm groves of the vast oasis that edges the city. 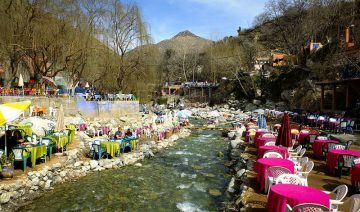 Even more, bump over rocky terrain, test your driving skills on various challenges, admire the scenery, and discover local traditions with stops at Berber villages. All equipment, a break for mint tea, plus hotel pickup and drop-off included. Finally, Quad Biking is an energetic way to spend a few hours! We can arrange for you to sprint around on a city course or why not take on the Saharan dunes? 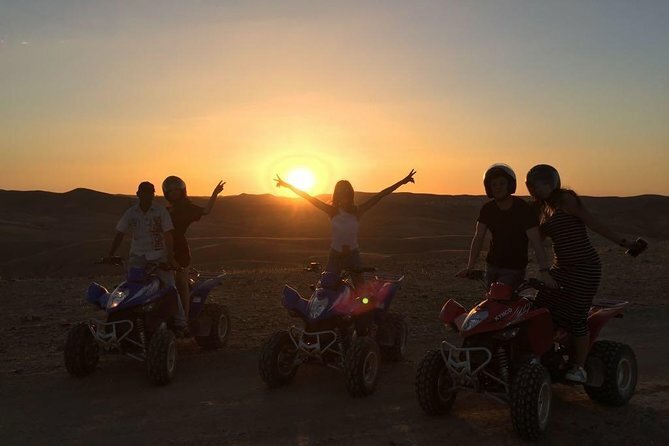 If the itinerary Marrakech quad biking that we offer does not match what you're looking for, contact us and we will prepare the trip to your needs and requirements. This is an amazing excursion to La Palmeraie: which is a palm oasis of several hundred thousand trees outside of Marrakesh, Morocco. Situated at the edge of the city's northern section and it is known for its eponymous palm trees and resorts. Under the warm Marrakech sun, you will discover the green palm groves and surrounding Berber villages in the natural and unique setting of Palmeraie. 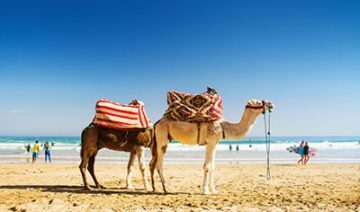 With this tour, you will ride for 2.5 hours through the surrounding countryside to give you an opportunity to discover the distinct beauty of this place. We pick you up in your hotel and drive you to our site where our team will welcome you and explain to you how your day will look like. Your guide will then take you for the perfect ride in quad bike. This experience will allow you to enjoy the culture and lifestyle of the local people who will welcome you into their villages where traditions are carefully preserved. During this adventure, we provide you with all the material you need for the quad bike excursion: helmet and goggles you will also enjoy a tea break in a lovely natural setting. The tour ends with a transfer back to your hotel.